Sanatkada, which began in 2006 as an initiative to revive the culture and art of Avadh, has now become almost synonymous with the Lucknowi art, food, language and culture. Lucknow, traditional and modern at the same time, has always attracted visitors who are looking to relive the past and at the same time appreciate the present. Sanatkada bring together the history and modernity of the city and its culture in a way that inspires romance and nostalgia. Located in the heart of the city in a beautiful house from the 1950s, Sanatkada (Sanat meaning craft and Kada meaning home) was started with the intention to bring the people of Lucknow closer to the traditional handlooms and handicrafts of the country. It is dedicated to the revival of traditional crafts that have been hit seriously due to the popularity of mass-produced products. It fuses traditional weaves with contemporary designs to create products that represent a beautiful blend of history and modernity. Handicrafts and handlooms, not only Uttar Pradesh but also from other states are produced at Sanatkada. Lucknow’s calligraphy and chikan embroidery, Bijnor’s wooden work on combs and similar products, baskets from Bhadohi, along with the appliqué work of Rajasthan, silk fabrics from West Bengal and Bihar, wooden toys from Karnataka, woollens and honey from the Kumaon region are some of the best selling products. It’s founder Madhavi Kuckreja is a Development Livelihood Professional and Human Rights activist who has been working since nearly two decades for the rights of rural women in Lucknow and Bundelkhand. Sanatkada also provides space for the demonstration of traditional food, craft and music in the form of a body called the Sanatkada ka Adda. Since 2009, Sanatkada ka Adda has been offering an outlet for showcasing the culture and tradition of not only the State but also renowned artists of National level. The Sanatkada Adda not only is entertaining but also educative as it helps to create awareness about socially relevant issues by organising film festivals, discussions, talks and book reading sessions. In addition to all this, Sanatkada ka Adda also organizes Roza Iftars, Diwali parties, Christmas parties and other such events along with the most famous book reading session among children, for which a club has also been formed. Apart from all these activities that go on year round, the most famous event is the Mahindra Sanatkada Festival that takes please between the end of January to mid-February. An annual event, it celebrates the history, culture, art, music, food and language of Avadh amongst other things. Each year a different theme is chosen for the festival that holds cultural and historical relevance. Festivals in the past have had the themes of Shama, Basant, Pehnawa,Lucknow ke Baazar, Feminists of Awadh and Filmi duniya mein Awadh, and this year the festival is back with the theme of “Lucknow ki Rachi Basi Tehzeeb”. Its aim is to exhibit how Lucknow, one of the oldest cities in the world, houses a variety of religious and cultural ethnicities namely Bengalis, Punjabis, Maharashtrians, Kashmiris, Parsees, Anglo Indians, Chinese and many others who have made Lucknow their home and have added to the culture and traditions of the city. The theme of the festival is reflected in the cultural performances, heritage walks, panel discussions, exhibitions and merchandise created for the festival by the Sanatkada team. Qissagoi and the Avadhi Home Cooked Food Festival are the key highlights of the festival each year along with other entertaining activities. 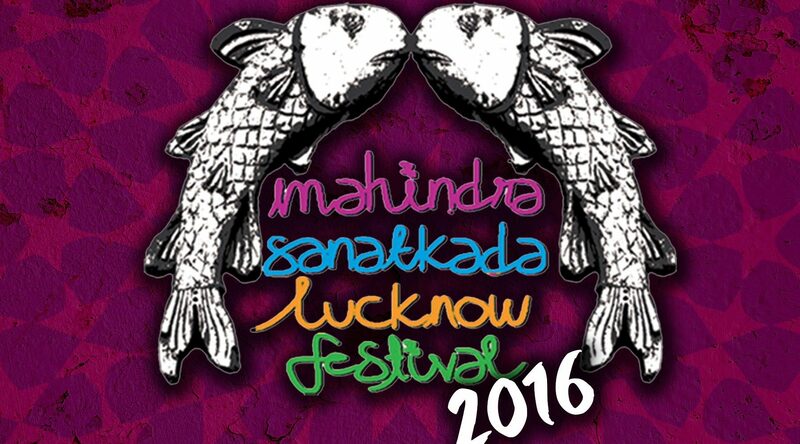 So, if you happen to be in Lucknow between the 6th -11th of February 2016, be sure to attend this year’s festival at the Safed Baradari, Qaiserbagh, Lucknow.